Logomachy Box, courtesy of Boston Children's Museum. While perusing the Gibson House archives for research material, I found an instruction manual for an 1874 children’s card game called Logomachy, or War of Words, designed by F. A. Wright, a games maker from Cincinnati. It appears that Wright’s game was well received, as he won the Highest Premium Silver Medal for Best New Parlor Game at the Cincinnati Industrial Exposition that year (which is proudly proclaimed on the instruction manual). The deck, which was not included with the manual I found, consisted of fifty-six cards. A single letter was printed on each card along with an illustration, such as a bird, wolf, or children at play. With more cards than letters, many of the letters were duplicated to allow for the spelling of words. The letters J, K, V, X, Q, and Z were prize cards and earned players who could use them to form words an additional one or two points. Front and Back of Card, courtesy of Boston Children's Museum. To play the game, four cards were dealt to each player and the dealer placed four more cards face up in the “pool,” or common space from which all players drew cards. Players then attempted to form words, known as “tricks” in the game. This was accomplished by playing one card in the hand in combination with any number from the pool. Any player who could spell a word with all the cards in the pool performed a “sweep” and earned an extra point. At the end of each turn, the pool and hand were replenished. Play continued in this fashion until the deck was exhausted. Then points were tallied, the cards re-shuffled, and a new round began. At the end of each round, points were distributed thus: three points to the player with the greatest number of cards, one to two points for each prize card, and additional points for every sweep. The first to score twenty-one points won the game. "Z" Card, Double Prize, courtesy of Boston Children's Museum. As part of my research for this post, I created my own deck and played several rounds with my seventeen-year-old sister, Caitlyn. (And as with all card games, she won nearly every time.) She and I enjoyed the game, so it is easy to see why it proved so popular when it was first introduced. Importantly, children new to letters and spelling could develop a valuable skill in a fun and exciting way. Although I could find little biographical information about F. A. Wright, there are at least two other known games he designed and sold. Both are card games. One is called What O’Clock, or Old Father Time, and is advertised on the back of the Logomachy instructions. Based on the advertisement’s description, the game was intended to teach children how to tell time, with each card representing all the hours and half-hours of the day and night. The other game, Moneta, or Money Makes Money, was similarly educational, teaching players how to count currency. Cards represented United States coins in all the denominations available in the late nineteenth century. The objective was to accumulate the most money in the course of play, so it seems the game was also intended to impart the values of capitalism. In fact, education seems to have been a common theme among many of the nineteenth-century children’s board games I have seen. For example, Snakes and Ladders, introduced around this time, taught children the importance of living a moral life. Ladders, or virtues, guided players toward their heavenly destination, while snakes, or sins, returned them to a lower part on the board. Indeed, commercialized games seemed to reflect new attitudes about childhood that developed over the course of the nineteenth century. According to historian Stephen Kline, as the western world rapidly industrialized, concerned individuals sought to remove or shield children from the harsh realities of this new world, viewing them “as innocent beings in need of formation and learning.”* Games and other organized activities provided the opportunity to educate children and guide their development in a safer, more nurturing way. *Stephen Kline, “The Making of Children’s Culture,” in The Children’s Culture Reader, ed. Henry Jenkins (New York: New York University Press, 1998), 98, accessed via JSTOR February 2, 2016. Image Source: Boston Children's Museum, Boston, MA. Daniel J. Kenny, Cincinnati Exposition Guide and Catalogue of Fine Arts Department, Containing the Name and Address of Every Exhibitor at the Fifth Cincinnati Industrial Exposition of 1874 (Cincinnati: Cincinnati Gazette Co., 1874), accessed via hathitrust.org, December 5, 2015. Stephen Kline, “The Making of Children’s Culture,” in The Children’s Culture Reader, ed. Henry Jenkins (New York: New York University Press, 1998). F. A. Wright, Explanations and Rules for Playing the New, Instructive, and Amusing Game of Logomachy, or War of Words, 1874. 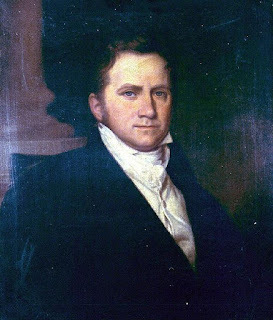 Before Rosamond Warren Gibson’s grandfather Benjamin Crowninshield (1772–1851) became Secretary of the United States Navy (1815–1818), he and his brother George, like himself a Salem, Mass. merchant, offered three vessels to the US government for service as privateers during the War of 1812. These were the ship John, the sloop Jefferson, and the ship America. The family’s foray into privateering had begun much earlier, however. 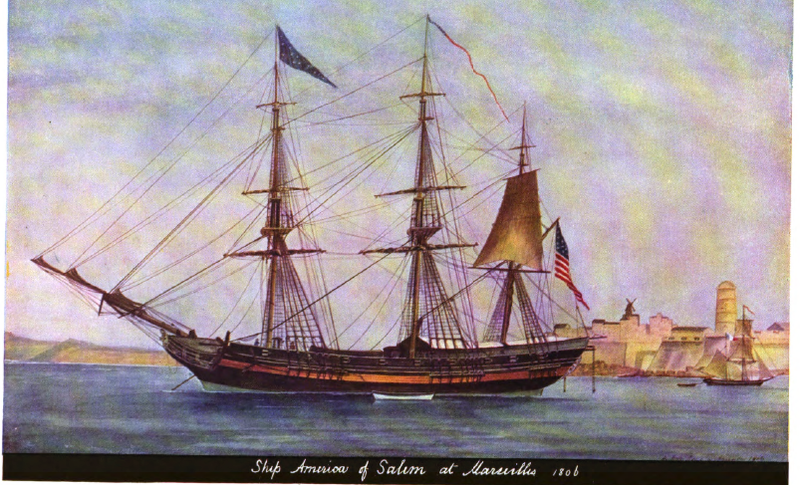 The earliest reference to a Crowninshield privateer that I could find was another ship called America, which served in the Quasi War with France (1798–1800). Additionally, in the American Revolution, Salem, Mass., sent out 458 privateers, and it is possible Crowninshield vessels were among that number. Of these, the America of the War of 1812 is the most famous. Benjamin Williams Crowninshield. Portrait by U.D. Tenney. Having always had a fascination with ships and the history of wars, I wanted to research the America and its career as a privateer. I also wanted to try and corroborate Rosamond’s story about the English ship sailing for India before its interception by the America. While the evidence does not support the story that America captured a ship on its way to India, some of the prizes it took did find their way into the hands of various Crowninshield family members, meaning the young Rosamond may well have played with toys meant for English children some forty years earlier. Built in 1803, the America originally went out to sea as a merchant ship and spanned a length of 114 feet, was 30 feet wide, and had two decks. But in 1812, when she was commissioned as a privateer, her dimensions were reduced to make her speedier and more maneuverable to better suit her new purpose. Now 108 feet long and with her upper deck removed, she averaged a top speed of 13 or 14 knots, which she could maintain for several hours at a time. With this new speed and agility, the America outpaced enemy ships with relative ease, avoiding capture on several occasions. As a privateer, the America was authorized by the United States Navy to prey on English commercial vessels, taking them and their cargo as prizes. Operating mainly in the North Atlantic, the America captured forty-seven vessels, twenty-seven of which were sent back to the United States. These twenty-seven ships and their cargoes together were valued at $1.1 million. The other vessels were either recaptured by the British Royal Navy or destroyed at sea. This kind of warfare proved vital to the American naval effort. When war broke out in 1812, the US Navy was grossly underprepared, with only about a dozen operational vessels. The Royal Navy, however, had about 110 warships, 4 fifty-gun ships, and 134 frigates. To compensate for this clear disadvantage, the United States put about 500 private ships into service as privateers. Encounters between US privateers and British ships inevitably led to violent exchanges of cannon fire in naval battles. And the America found herself in such a situation on at least one occasion, when she engaged the Princess Elizabeth, a private armed ship, in an intense firefight that lasted a little over an hour. This ended in the British ship’s surrender with two fatalities. The Americans came out with no loss of life and minimal damage to their ship. Unfortunately, the ending to America’s story is not so glorious. 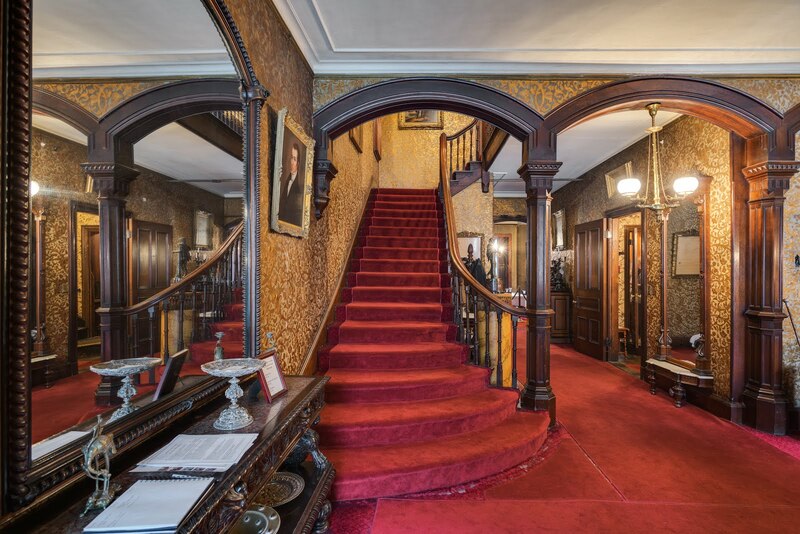 After the war, she spent the next fifteen years docked before being auctioned off in 1831, when she was destroyed and stripped for metal. 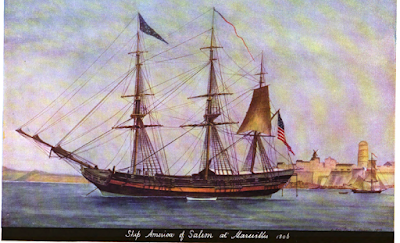 Ship America, 1806: from Old Time Ships of Salem, 33. Benjamin W. Crowninshield portrait: Benjamin W. Crowninshield wikipedia entry. Naval History and Heritage Command identified the artist, U.D. Tenney, a portrait painter of the 19th century. 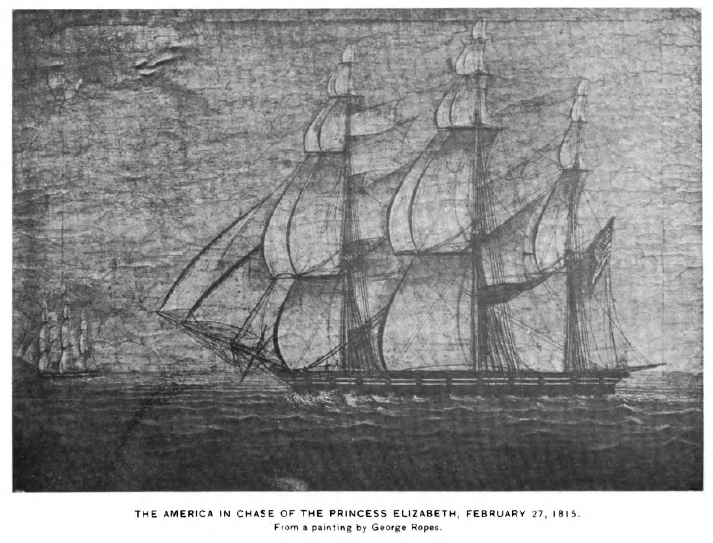 America in Chase of the Princess Elizabeth: from An Account of the Armed Ship "America" of Salem, 44. Carl Benn, Essential Histories: The War of 1812 (New York: Osprey Publishing, Ltd, 2002). Bowdoin Bradlee Crowninshield, An Account of the Private Armed Ship “America” of Salem (Salem, Mass. : Essex Institute, 1901), accessed via hathitrust.org, December 5, 2015. Jonathan R. Dull, American Naval History, 1607–1865: Overcoming the Colonial Legacy (Lincoln: University of Nebraska Press, 2012). Essex Institute, Old Time Ships of Salem (Salem, Mass. : Essex Institute, 1917), 33–34, accessed via hathitrust.org, December 5, 2015. Rosamond Warren Gibson, Recollections of My Life for My Children (privately printed, 1939). Faye M. Kert, Privateering: Patriots and Profits in the War of 1812 (Baltimore: Johns Hopkins University Press, 2015). Edgar Stanton Maclay, A History of American Privateers (New York: Appleton Press, 1900).